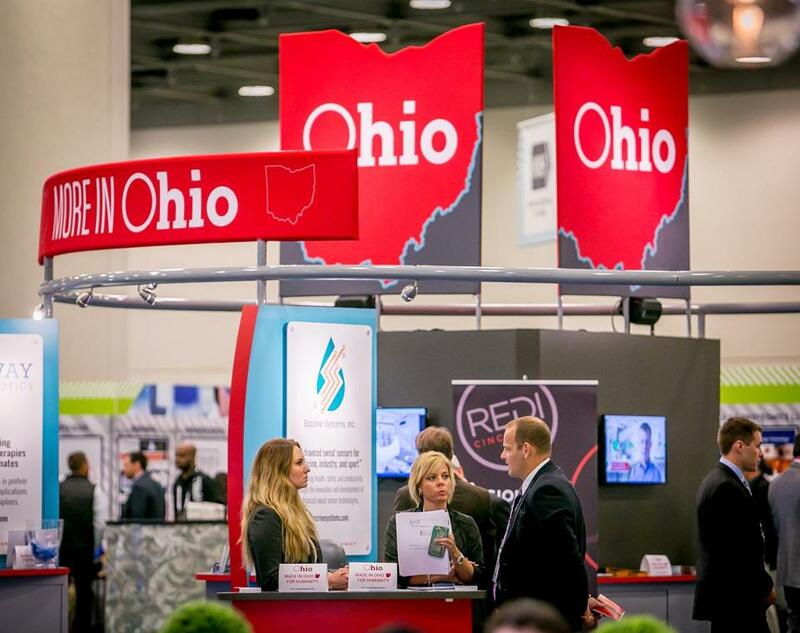 Ohio and New Jersey made pitches at the Biotechnology Innovation Organization’s annual convention, but when it comes to the increasingly aggressive fight to attract biotech companies, Massachusetts and California are usually pretty tough to beat. SAN FRANCISCO — Some places have better weather. Some have better access to venture capital. But when it comes to the increasingly aggressive fight to attract biotech companies, Massachusetts is usually hard to beat. But that didn’t keep the competition from trying this week at the Biotechnology Innovation Organization’s annual convention at the Moscone Center here. Iowa, drawing on its dozens of ethanol plants, has become the nation’s leader in bioagriculture, and the state recently approved a tax credit to attract more biochemical companies, said Governor Terry E. Branstad. But while the state wants more biotechs, he said it doesn’t even try to compete with Massachusetts in that sector. Massachusetts officials, by contrast, cited the state’s 550 biopharma companies, its 400 medical device and diagnostic businesses, its network of venture capital investors, and its world-class universities and research hospitals. There are more than 37,000 life sciences workers in the Boston area alone. 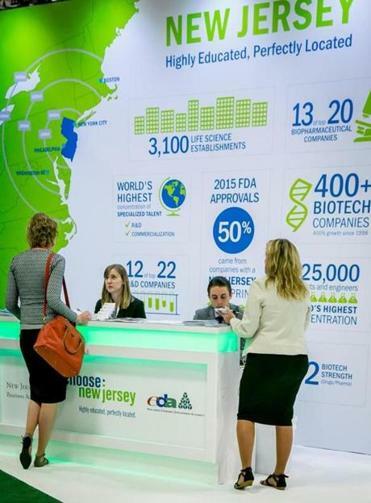 The New Jersey Pavilion at the Bio Convention in San Francisco, Calif. Whether rivals can steal businesses from Massachusetts is less clear. Around the massive BIO exhibition floor, business development officials from competing states, countries, and companies were making presentations, engaging in networking meetings, and handing out everything from Swiss chocolates and cappuccino to water bottles and Czech beer. Minnesota officials were touting Discovery Square, a new bioresearch development at Mayo Clinic in Rochester. Russian representatives were talking up their country’s pharmaceutical manufacturing base and its cheap labor, courtesy of the ruble’s devaluation. Despite their presence at BIO, most states and regions have little realistic chance of emerging as competitors to Massachusetts, California, and a few other biomedical clusters, suggested Joel S. Marcus, chief executive of Alexandria Real Estate Equities, one of the largest developers of properties for the life sciences industry. Marcus said his company focuses mainly on Boston, Cambridge, New York, and San Francisco. That hasn’t stopped other state officials from setting up shop and making their cases at BIO this week.